Here's a little card I made using the super cute new set from The Rubber Cafe called Hey Cupcake. 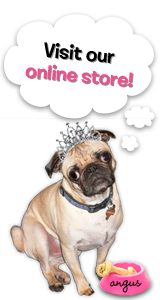 Once this is listed in the store you'll want to grab it. 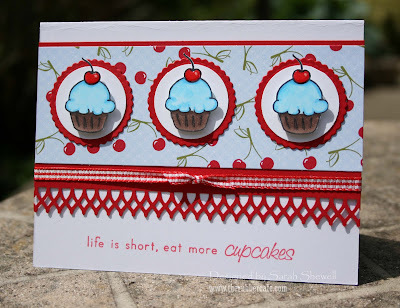 I used one of the small cupcake images with the life is short saying...love it!I stamped the cupcake images and colored in with copics. I added a touch of white gel pen to the cherries for that faux shine and decided I wanted some real shine. I added diamond glaze which give it a nice dimensional glaze. The red is punched with a Martha Stewart punch and dressed with a piece of gingham ribbon.